In June, I visited Canada for only the second time. Toronto to be specific. I was in town for the annual North American TBEX conference, so I didn't have a lot of time to go sightseeing, but I did try to squeeze in a few “must see” things during my visit. Below is a 48-hour itinerary I came up with, perfect for a quick weekend trip, especially if you're a first timer. So go ahead and give yourself permission to splurge on one of the luxury hotels in Toronto, and let's prepare to hit the town. At 553 meters (1,815 feet), Toronto's CN Tower was the world's tallest tower (and free-standing structure) when it was completed in 1976. Today, it still holds a respectable fifth place. Adult admission for the Tower Experience is $27.20, but if you want to go all the way to the highest point, the SkyPod, it'll cost you $39.20. The views from either level are sweeping, as you look down on Toronto, and across Lake Ontario. CN stands for “Canadian National” which was the name of the railway company that initially built it. A mere hundred meters from the tower entrance is the Toronto Railway Heritage Centre, where you can walk amongst some old train engines, and a giant circular switching station. 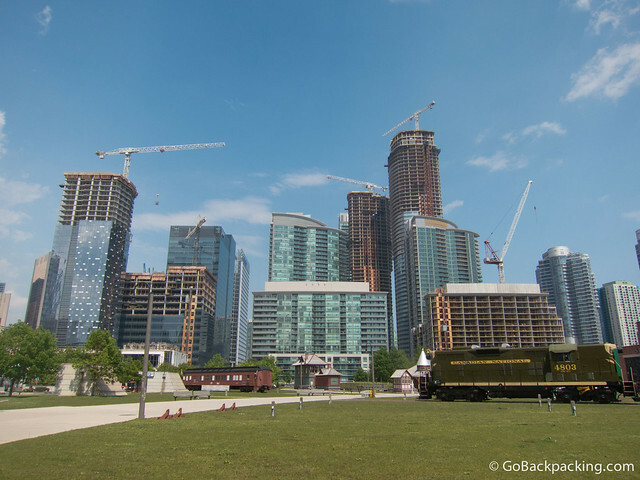 The Toronto Railway Heritage Centre is actually a multi-purpose park space home to the John Street Roundhouse, a building formerly used to repair locomotives. 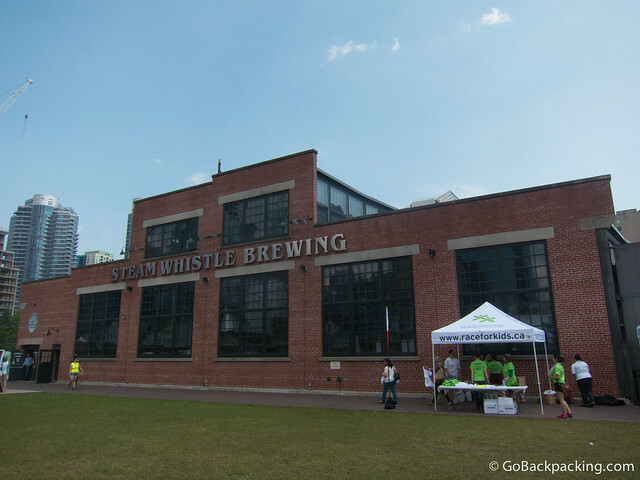 Today, it houses the Steam Whistle Microbrewery, among other shops and restaurants. Tours are available every day of the weekend, though it gets busier on the weekends, and each includes a free beer tasting at the end. Located in downtown Toronto's Grange Park, the Art Gallery of Ontario features over 80,000 works of art spanning almost 2,000 years. Go here for the largest collection of Canadian art, as well as works from the European Renaissance and Baroque periods. The museum has undergone several renovations over the years, including the latest by famed architect Frank Gehry in 2008. Adult admission will run you $19.50. Ice hockey is Canada's biggest sport, and one of its claims to fame. Established in 1943, the Hockey Hall of Fame functions both as a museum, as well as a place to recognize the greatest players and coaches of all time. Adult admission costs $17.50. I discovered poutine for the first time in New York City at a TBEX conference back in 2010, thanks to Jodi Ettenberg (proud Canadian). But Toronto was the first time I had the chance to try this deliciously bad for you snack in the country that first produced it. French fries and cheese smothered in gravy, what's not to love about it? If that's not enough for you, then you can get all sorts of additional toppings. The sky's the limit, though none of the options are cholesterol-friendly. 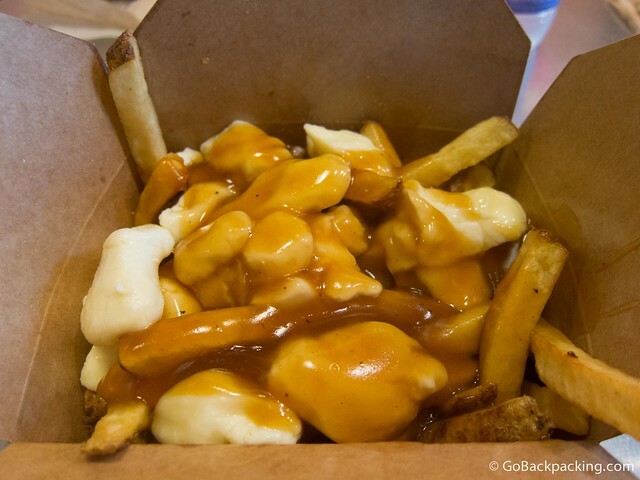 Poutine is the perfect post-party, late night comfort food. For a few dollars, you can indulge in this tasty treat. You won't regret it. After my conference wrapped up, I dedicated a full day to a Niagara Falls tour, and it was awesome! You don't need more than a day when doing the trip from Toronto, but trying to do it in less means missing out on some of the cool opportunities. 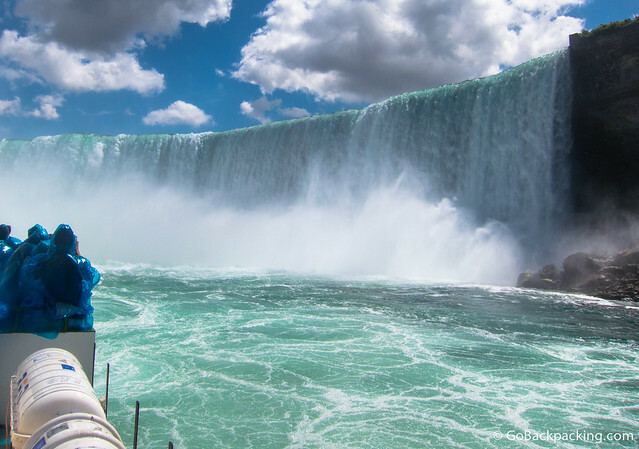 I'm speaking specifically about the option to take a helicopter ride over the falls, as well as a ride in the traditional Maid of the Mist boats that take you up close to the world's most powerful waterfall. This post was written by Dave, and brought to you by SLH.com. Nice little wrap up of Toronto. You really hit a lot of the highlights. Personally, if it’s your one shot at Toronto (and you’re there when the weather is warm), I’d recommend splurging a bit at the CN Tower to do the Edge Walk. Essentially it’s the same view but it is a bit more exciting to hang off the tower than being stuck behind glass. I think it’s about $175 and that includes the walk, video and photos of you hanging off the tower, and all the attractions within the building.